Have you ever been in a classroom full of young learners? When 20 or so preschoolers are in a room together, things can get hectic. Crying, running around, you name it. How do you stop the madness — or prevent it from happening in the first place? Classroom procedures are a lifesaver when it comes to class management! These systems streamline your class and keep everyone calm and organized: the students and yourself. Read on to find out four classroom procedures you can use in your class, and discover four hassle-free tools that will help you implement them! Classroom procedures and routines, simply put, are systems you implement to help organize and direct the students in your class. The students should know what your classroom procedures are and what different signals and instructions mean so that they can follow directions more easily, and so they know what’s going on in the classroom. Clear, consistent procedures create routines in your classroom because students know what to expect. Having a routine allows students to be more self-directed, and it also gives them the opportunity to learn important leadership skills. Classroom procedures also teach students how to recognize and follow patterns. For example, they’ll learn that when you ring the bell at 11:15, that means to get ready for lunch, and that every single day they need to follow the same pattern of tasks when they enter the classroom. The routines that emerge from clear classroom procedures teach students about time management! They’ll learn to mark the morning by a series of activities that that take the same amount of time every single day, and to use the time they have for an allotted task wisely. Here are some simple classroom procedures you can use to streamline your classroom — and tips for how to most effectively introduce them into your class! Try these tips out: you’ll be pleased to see how much more smoothly they make your class go. It’s important to develop standard, clear procedures for the start and end of the day. These will help the time in between go smoothly by anchoring students when they enter and leave your class. This bird’s eye video of an actual kindergarten classroom shows a typical morning routine in action– watch it if you’re trying to get a better sense for how morning routines might go in your class! 30 small kids running toward a door with no order or reason is, in a word, chaotic. It’s important to create a clear procedure for lining up so that your whole class doesn’t go haywire, and so that you can preserve some peace in your class. When it’s time to line up, you can play a song alerting students to get ready. Have them clean up their desks, push in their chairs, and stand at their seats. Then, you can call students table by table (or girls then boys, etc.) to come to the door and line up quietly. Patience is key to this procedure. In order to facilitate orderly, quiet lining up, you should send students who are unruly or who try to cut to the back even if it makes things take longer. This will set a norm for classroom etiquette. How your restroom procedures will work really depends on the age of your students — if they’re super young, you’ll probably need a member of your teaching staff to go to the bathroom with them. You can have students raise their hands or make a special hand signal for someone to come accompany them to the restroom. If your students are a little older, though, you can have them raise their hands and ask to go to the restroom or take a bathroom pass when they want to use the restroom — the pass ensures that only one or two students can go to the bathroom at a time. Make sure that students replace the bathroom pass and return quietly to their seats without disrupting others after they’re done going to the bathroom. You can make restroom procedures (and other classroom procedures) more interesting by spicing them up and making them exciting for students. This list of 8 ideas for bathroom passes has some hilarious alternatives to your average boring bathroom pass! When your children break for lunch they might get rowdy and overactive, making lunchtime procedures particularly important. You want to ease students into lunchtime in a way that’s orderly and calm to avoid major headaches. Go to the bathroom and wash hands (not all at once!) Call students who’ve been behaving well first, or call them section by section. You can create procedures for every part of your day: cleaning up, getting ready for naptime, playing outside, doing group activities, and more. Procedures don’t need to be complicated or fancy — just a routine that your students can easily learn the steps of and enact! No matter what classroom procedure you’re enacting, it’s important to use clear signals and patterns to let students know what they’re supposed to be doing. These four tips will help you enact any and every procedure easily and effectively! Signal songs are a really fantastic way to signal to students that it’s time to pay attention and follow directions. If you have a computer connected to speakers in your classroom, you can create a file with your signal songs in it so you have them on hand throughout the day. Be creative with the songs you use and the activities you use them for! You can even use silly songs that don’t have anything to do with the activity as long as you use them consistently. And if you can’t easily play music in your class, don’t worry! You can use bells, instruments, or even clapping patterns to signal activity changes. Look at this list of fun call and response patterns for ideas you can use as procedure signals. The important thing is to make sure that you’re not just you yelling at your students when it’s time to pay attention — you want a sound that engages them and grabs their attention without being harsh for you or them. It’s important to give students warnings between activities so that they have time to finish what they’re doing, clean up, and get ready for the next activity. Giving students 5- and 2-minute warnings lets them finish up at their own pace and make sure that they wrap up their work in a way that satisfies them before moving on. Visuals help students remember what they’re supposed to be doing so they don’t have to ask you or feel embarrassed if they forget a part of the classroom procedure. They also enforce the routine so that students can’t veer from it and pretend they didn’t know what was going on. 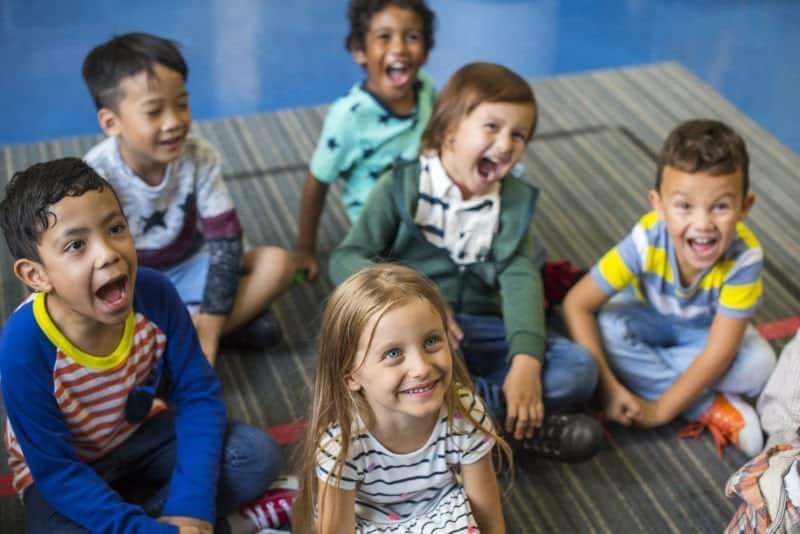 If every day students are supposed to enter the classroom and then immediately take their shoes off, put their coats away, drink water, and then come to circle time, you could create a chart with a picture of a pair of shoes, a picture of a coat rack, a picture of a glass of water … you get it. Make it easy for children to look around the room and know what they’re supposed to be doing! Having class monitors or other students who assist in enforcing procedures will do wonders for your class’s behavior — and it reduces your workload as a teacher. You can elect two new class monitor every week, following a pattern that ensure every student is monitor at least once, or you can let the two students who got the most points the day before be the student leaders each day. Whatever system you choose, make sure it’s consistent and clear. Student leaders can guide and help peers who are having trouble or misbehaving, and they’ll learn about leadership in the process! Create a necklace or vest for class monitors to wear so everyone knows who they are. Your kids will be clamoring to be appointed student leaders! Make a clear plan for what your routines and procedures will be, and practice them with students over and over and over at the beginning of the year and even after breaks and weekends so that students learn what’s expected of them. It’s easy to forget the details of procedures — even for grown ups. Make practicing routines fun and easy so that your classroom procedures don’t become scary or intimidating for students. Molly Oberstein-Allen spent a year and a half teaching ESL and STEAM in Shenzhen, China. She currently resides in Kansas, where she writes and teaches online. She's passionate about traveling, literature, and the outdoors.